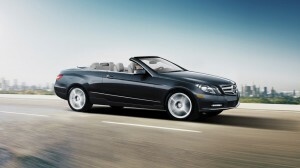 It’s not an oxymoron, a convertible for families. In fact, there are a few droptops that may seem right at home in the garage, right next to the more practical sedan, crossover, SUV or minivan. 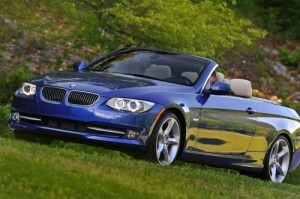 Looking at the current crop of convertibles, we’ve picked out our five favorites for families. Of course, the decision is very much a personal one, depending on your tastes, budget and other considerations. 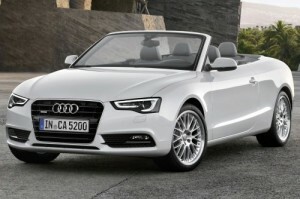 2013 Audi A5 Cabriolet – While all Audi A5 models receive a facelift for 2013, since it’s the convertible we’re after, the Audi A5 Cabriolet gets high marks for its power-operated soft top, noise-insulated interior that makes you almost forget you’re driving a convertible (with the top up, that is), and still generous (for a convertible) trunk space accommodating 10.2 cubic feet of cargo. Available in 2.0T Premium and 2.0T Premium quattro (all-wheel drive), the 2013 Audi A5 Cabriolet is a delight for small families to take out on the open road. 2013 BMW 3-Series Convertible – With a new 3-series convertible due out soon, this is the final year of the current configuration, but that’s not all bad. Aficionados of the 2013 BME 3-Series know that the convertible version has the industry’s best seats, high quality in fit and finish and materials, and, let’s not forget the wonderfully sweet six-cylinder engines, sporty feel on the road and comfort for four passengers. All isn’t perfect with the 3-Series convertible, though; the folding top takes up precious trunk space, and costs more than non-convertible models. 2013 Infiniti G Convertible – A classy four-place droptop, the 2013 Infiniti G Convertible is not without its faults, some of which may deter families from considering it. 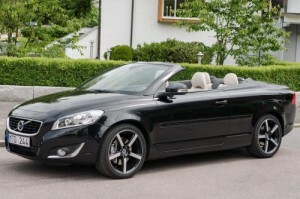 The biggest drawbacks are the space in the rear seats and the trunk, although this may be compensated for by the powerful engines (especially in the IPL G convertible), brisk acceleration, precise handling on curves, loads of standard features, excellent build quality, handsome design, luxury interior and the availability of various packages. 2013 Mercedes-Benz E-Class Cabriolet – Available in E360 and E550 Cabriolet, the 2013 Mercedes-Benz E-Class is a luxurious way for four passengers to travel the open-air road in style. The soft-top is triple-layer, innovatively engineered and impeccably crafted. The direct injection V6 and twin turbo V8 engines pack a powerful punch, and the open seating for four features sport front seats with integrated head restraints and twin rear seats including pop-up roll bar. Hand-fitted leather and hand-polished wood are other distinctive elements sure to please. 2013 Volvo C70 T5 Convertible – Though it lacks the BMW 3-Series convertible for performance and handling and its interior isn’t quite as luxurious as the Audi A5 Cabriolet, the 2013 Volvo C70 T5 convertible is anything but shabby. 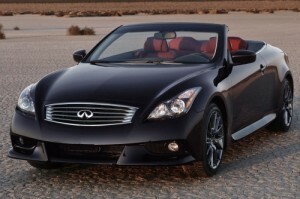 In fact, it’s a downright legitimate four-passenger luxury convertible with quite a few things going for it. Quality materials and a simple design throughout the cabin make for a comfortable driving experience. With the top up, the cabin is noticeably quiet, and breeze is also well-controlled with it down. Trunk space is a generous 12.8 cubic feet with the top up and 6.0 cubic feet with it down, which may not seem like a lot, but it’s better than competitors. Rear seat legroom is a little tight, but also better than some of the competition.